What are some facts about the Corn Snake? 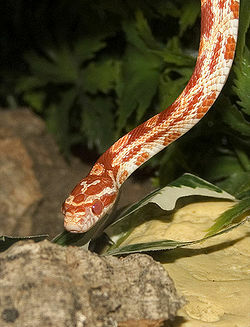 Corn Snakes are native to the Southeast U.S. They are docile and easy to handle. 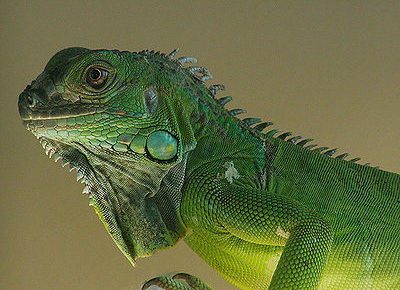 They grow from 3-5 feet long and live about 15-20 years. Corn Snakes are great pets for beginners since they are easy to care for and rarely bite. How do I care for and feed the Corn Snake? A 20 gallon solid cage with a secure lid to prevent escape does well. You should provide hiding boxes where the snake can curl up in, or else it will become stressed. It also needs objects to climb on and rest on. These objects will also help the snake shed its skin. 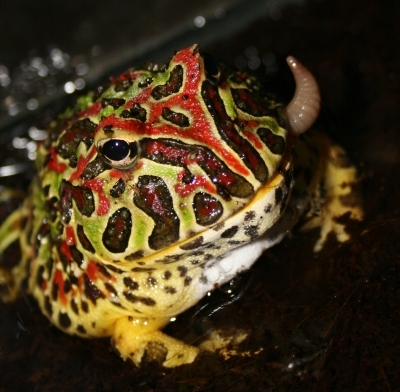 A heavy water dish is necessary and should be cleaned often. Ask your breeder about heating and lighting requirements The Corn Snakes’ diet consists of pre-killed mice or small rats. They like to be exercised about 3-4 times a week. Take the snake out of its enclosure but be careful not to drop it. Never handle your snake right after a feed, as it will regurgitate its meal. It’s best to wait 48 hours after a feed before handling.